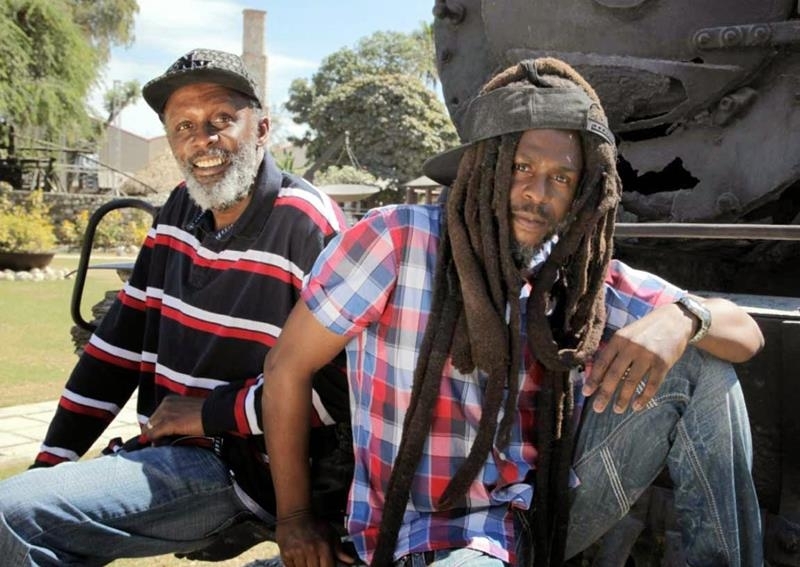 Christmas came early for reggae fans in Birmingham as two of the heavy weights from the areas rich music heritage took to the stage for the second night of two very special gigs. Gracing the main stage of the O2 Academy, these two Brummie legends shared the bill together for the very first time on their own turf, making it a very special evening for a packed hall. Whilst both bands are of the same musical persuasion, they are in reality miles apart. Steel Pulse may have won a Grammy, but with 100 million records sold and 40 UK top 20 hit singles, UB40 are without doubt one of the most successful British bands of all time. But that was then and this is now. Steel Pulse, one of the late Bob Marley’s favourite bands kicked off a high intensity set, setting the bar really high, and bringing a sea of colour to the stage for the first half of the proceedings. Pure unadulterated fun was had as they treated their fans to Not King James Version, Stepping Out and Taxi Driver. It was impossible to keep still as the highlight of their efforts, Handsworth Revolution, had this crowd shuffling their feet and singing along. UB40 were up next, with a mixture of original members, new faces and some significantly younger faces which have been drafted in to replace former members. A messy sibling war means that there was no Ali, Astro, or Mickey, who tour under the name of Ali Campbell’s UB40, but this version was just as credible. Higher Ground and Cherry Oh Baby set the tone early on and had this crowd singing along. Who doesn’t know all the words to the UB40 songs? It was sing a long time for Sweet Sensations before Norman Hassan (an original member) and show stealing saxophone player Brian Travers joined this crowd on the vocals. The place went wild for UB40’s first ever hit, Food For Thought and didn’t keep still for One In Ten. Here I Am Baby and Red Red Wine followed before the group left the stage for their inevitable encore. Don’t Break My Heart was the first track along with a cover of Willie Nelson’s Crying In The Rain which was given the ubiquitous UB40 treatment. 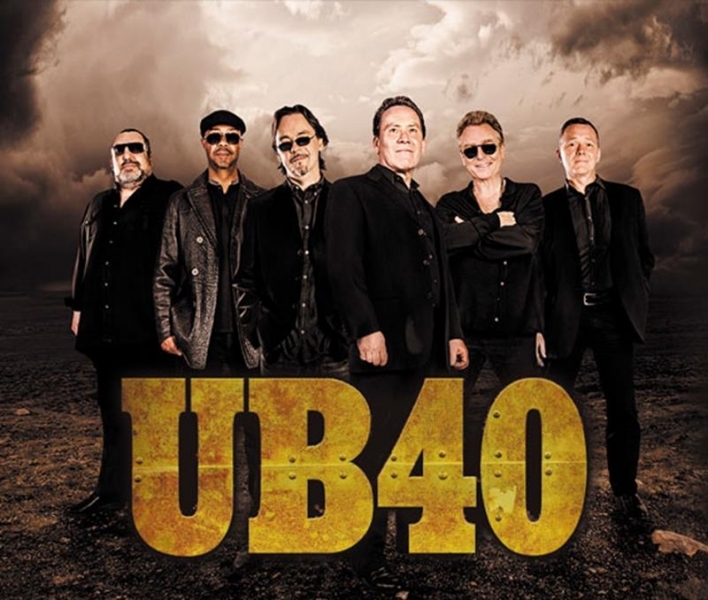 It would not have been a UB40 concert without Kingston Town, before they finished with I Can’t Help Falling In Love With You, bringing an hour and a half set to an end. There was no doubt that the whole evening had been fun; allowed the crowd to have a mass sing a long and to thoroughly enjoy the nostalgia of what is UB40, but you cannot help but think that there was something missing, and we all know what that was. 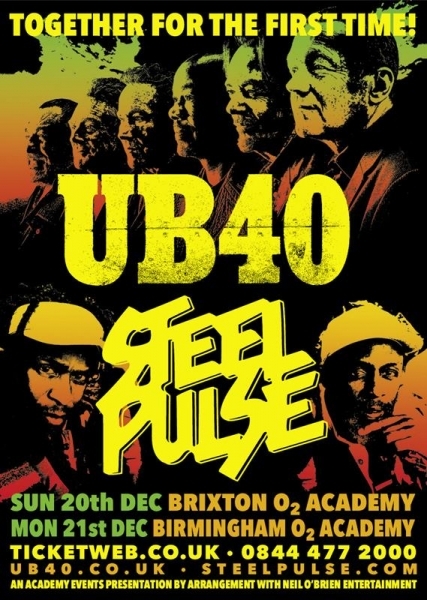 Whilst a UB40 reunion does not seem likely in the immediate future, what this concert did provide was a festive feast of reggae and in the week leading up to Christmas it all went down a treat.